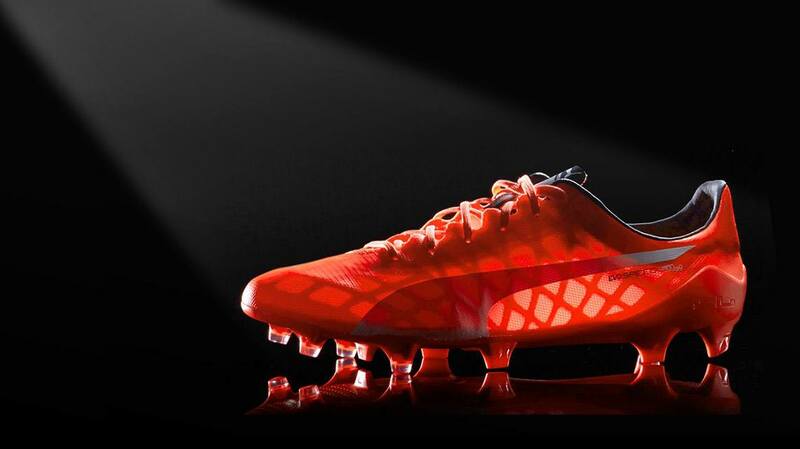 PUMA has launched the new evoPOWER 1.2FG football boot that generates even more Power and Accuracy when kicking. Like its predecessor, this next generation evoPOWER boot is inspired by barefoot kicking. Through its lightweight and super soft upper material, it allows freedom of movement while maintaining support at the same time. Through its special outsole technology, the foot bends similar to a bare foot to help a player create increased power when shooting. The upper features a GripTex print, that enhances the grip of the ball in both wet and dry conditions, giving the player increased control. A lightweight AccuFoam lining provides a clean kicking surface that increases accuracy when passing and shooting using different areas of the boot. 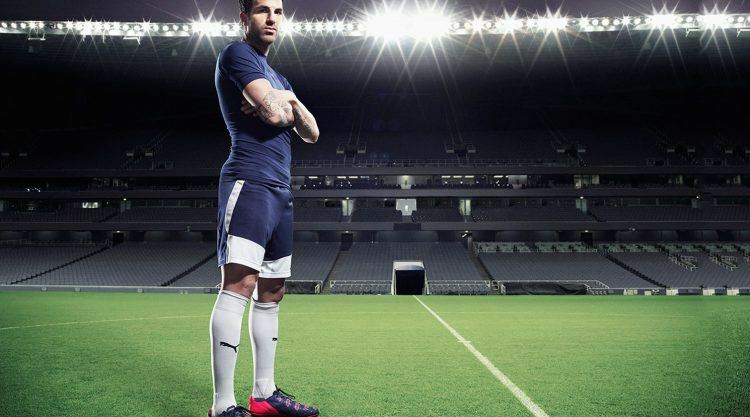 We asked Spanish mid-fielder and Chelsea kicker Cesc Fàbregas what he thinks about our latest football innovation. It’s really good. I tested it for a few weeks and the boot felt really comfortable. It’s actually the best boot I have ever worn. What has been improved since the last boot? 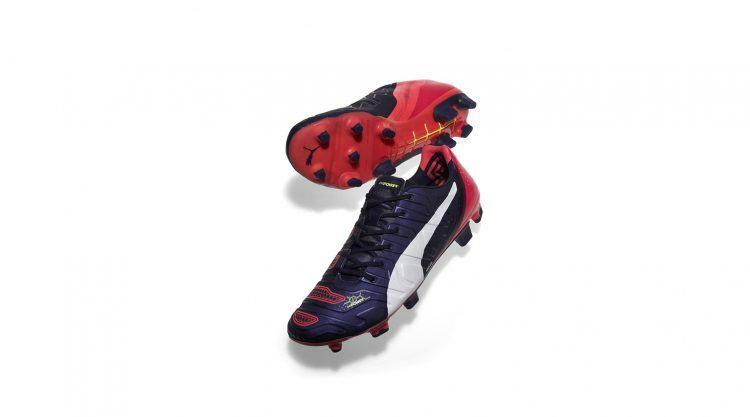 They are very comfortable, they are light, and your touch with the ball is even better now. I love the improvements that have been made to the evoPOWER boot that have an increased focus on accuracy as well as power. Football can be won and lost in small margins, having a boot you believe will help you perform at your best gives you a confidence to perform at your best. 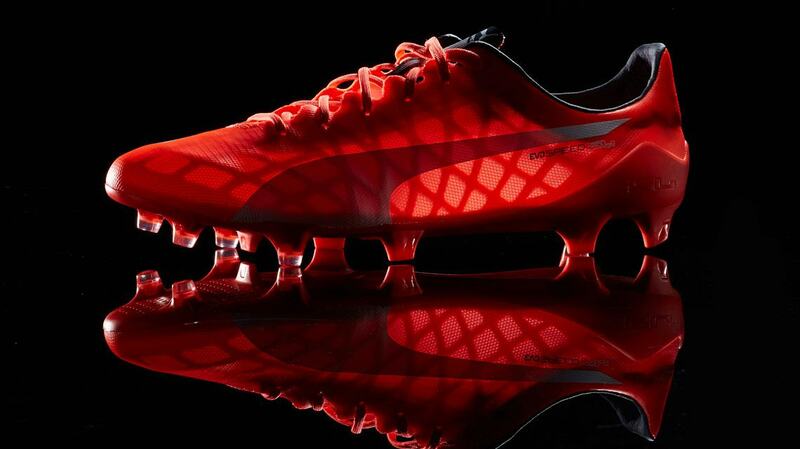 I am very happy with what PUMA has done with this boot. What is more important to you: Power or Accuracy? Both are very important, but I believe more in accuracy because the power is more about how physically strong you are, and accuracy is about the technical ability that you have. Accuracy is the basis of my game, it’s very important for a midfield player both when I pass and shoot. So, I personally believe more in accuracy. It’s been great so far. I’m enjoying it a lot. The Premier League has definitely improved, since I left Arsenal FC three years ago. The passion is still the same – from the fans and the players. Physically it has always been a really hard league, because it is so competitive, but tactically it’s now much better. I think to break down defence these days is more difficult than before. You have played a lot of football this season. Do you feel that’s the case – are you tired, is your body tired? No, you know, our coach José Mourinho knows very well what he does. We play a lot of games, but he also gives a lot of freedom to the players. If he feels that players are playing a lot, that they are getting tired, he will give you three days off, so you can rest and spend time with your family. He is very intelligent and he is doing very well. 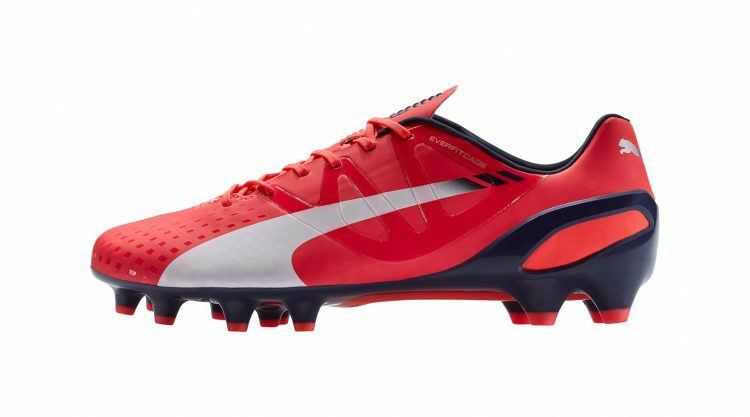 PUMA has released its latest colourway of the evoSPEED 1.3 football boot, refreshing the line with a bright plasma, white and peacoat design. 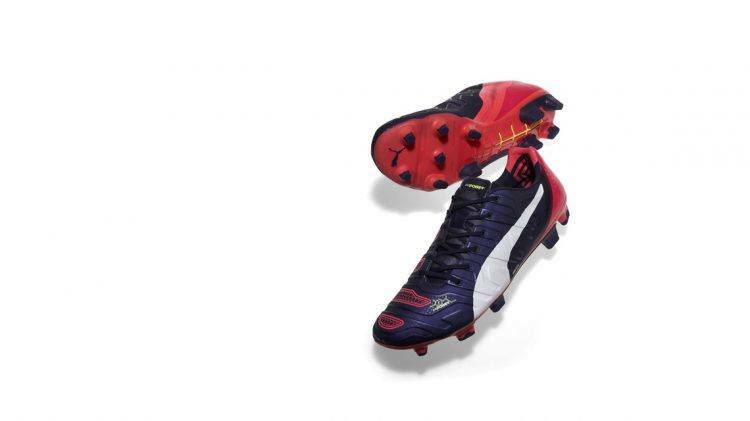 The evoSPEED is a high performance football boot that helps players move with greater speed and agility. It was designed with speed in mind. The upper is made from a super soft and ultrathin microfiber material to reduce weight. The flexible material composition improves players’ manoeuvrability and ability to react faster. 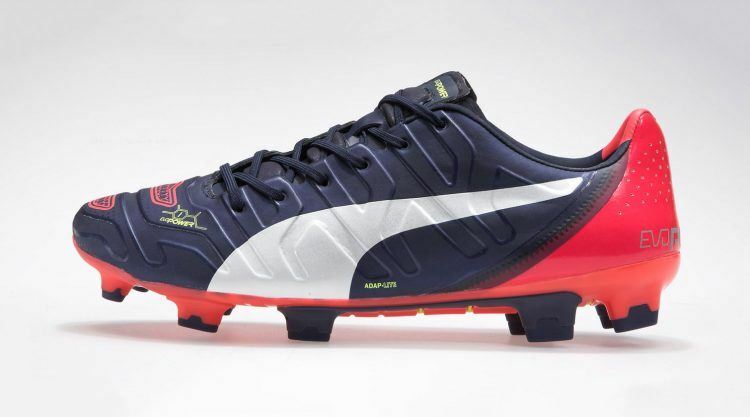 And what does Colombian footballer and striker for Manchester United Radamel Falcao thinks of his new evoSPEED boot? I am a big fan of the evoSPEED boot and I really like this new colourway. It will definitely stand out. I’ve been working hard over this past month to regain fitness and I am very happy to be playing again. We have some big games coming up in the next few weeks, it is an important stage of the season and I’m very keen to score some more goals to help my team. What is important in a football boot? The most important thing for me in a football boot is the comfort. 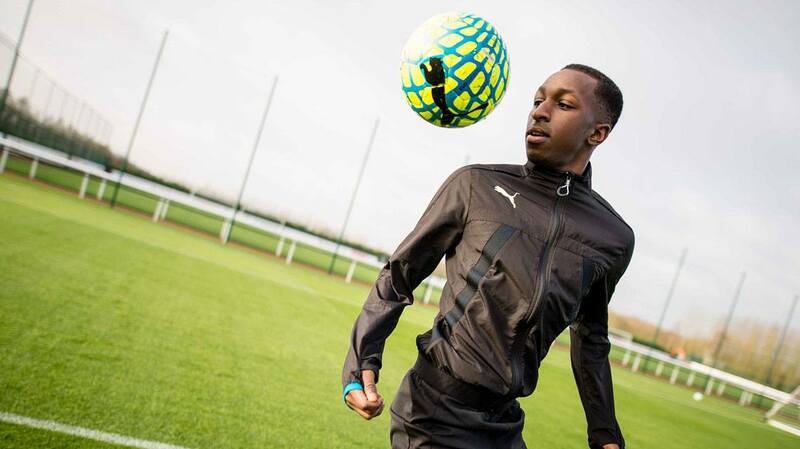 The material must allow you to have a connection and good touch with the ball. It has to be light, the studs need to have a good grip on the pitch and the material has to remain equal, no matter what the weather conditions are like. evoSPEED has all these qualities. It really is a great football boot. I can wear them in any weather condition with no problems at all and they give me great confidence. How have your impressions of the season been so far? The first half of the season for me has been a time to adapt, coming to a new club in a new league with a lot of new players coming into the team. Also a new coach who has to try different options with the squad to get the best results. Because of this I did not have the consistency I would have liked in the number of games I have played, but little by little I am gaining my place on the team and feeling better. There is a lot of more football to be played, and of course I want to score goals and help the team as best as I can. What’s it like playing in the Manchester United team? Manchester United is a very big club, one of the biggest in the world and I am so happy to wear the jersey. I always dreamed of being part of a club like this, and it is a privilege for me to be here. The supporters are really passionate and since the very first moment I arrived they have given a lot of support to me. I am very happy about that. Do you feel settled at the club? Yes, I have adapted to the club and I feel really comfortable. There are some really talented players and it is great to be part of such a high level team. I also really like Manchester as a city. It is very interesting here and you have many choices and options. My family and I are really happy and we enjoy living here. What can the club realistically achieve this season? Our main goal is to be back in the Champions League for next season. We know it is a transition year because a new coach has arrived as well as many new players, so it is difficult to set goals, but being back in the Champions League is definitely our main goal. I am optimistic the season will end well for us.